Alex Soldier uses snails as a reminder to slow down and enjoy life. He has created more than 25 jewel encrusted snails, each unique and one-of-a-kind. 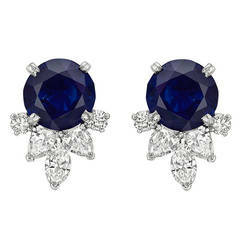 It became an instant classic and one of the brand’s signature heirlooms with the quality and appeal of the most sought-after jewels in the world. Formed by a perfect balance of color, texture, and intricate detail, each snail is embroidered with an exquisite assortment of precious gems that are carefully matched to form a unique color pattern. Every composition is further enhanced with concluding touches of fine texturing, hand-applied in several layers, making the outcome an ultimate artistic expression and a true work of art. Sunny The Snail earrings are touched by the sun’s warm rays. They embody all the joyous moments that life brings and are dedicated to every woman who has discovered the realms of gold that are hidden in the depth of her being. 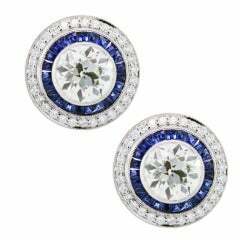 Earring dimensions: 22 mm W; 25.5 mm L. Complimentary conversion to cufflinks is available within 3 business days. Handmade with love in New York City from responsibly sourced materials. One of a kind. Metal: 18 karat yellow gold and platinum.Yellow sapphires: 50 stones, total carat weight: 2.5 ct. Citrines: 68 stones, total carat weight: 3.8 ct. Garnets: 34 stones, total carat weight: 2.4 ct. White diamonds: 58 stones, total carat weight: 0.3 ct. Ruby: 2 stones, total carat weight: 0.2 ct. Please note that carat weights may slightly vary as each Alex Soldier creation is handmade.